A mother in a million. – My thoughts on a page. A mother in a million. Listen carefully. Can you hear the Irish nation cheering? Today we Irish are cheering one woman’s strength, and sighing in relief as a terrible injustice has been righted. A mother who has fought for her daughter with dignity and courage, has won. If you were living here it would be enough for me to say, “Lucy has got her medical card”, and you would know what I meant, for little Lucy is well known to us all. Last year at the age of eight Lucy went from perfect health to being unwell. It began as tummy aches and some bruising. Her doctor ran tests and referred her to Accident and Emergency where she was admitted and operated on. Lucy had an abdominal mass and her family were told the devastating news that she had cancer. One week later she began aggressive chemotherapy, and began to lose her shoulder length blonde hair. Life had changed forever. As Lucy fought bravely another battle began. Lucy was one of four children. Her mother and father had been working all their lives, but upon diagnosis her mother stopped work in order to look after Lucy. I cannot imagine what it must be like to try balancing life as a mother of three children at home, with being a mother of a seriously ill child. As well as the difficulty of spending so much time in a hospital there is the added financial pressures that come with the diagnosis. A wig for Lucy cost €850. It was suggested that they apply for a medical card, but incredibly the application for Lucy was refused. Certain cancers do qualify for a card but not all, Lucy’s was not on the list. GPs visits cost €50, not to mention her wig and numerous other costs stretching a long way into the future. It is at this point we got to meet Lucy’s mom Angela, as she decided to go public. At a time when her daughter was so ill, and life in turmoil, filled with uncertainty, she found the strength to speak out. She did it not only for Lucy but the other children she saw who were in the same boat. She informed the nation how our sickest of children were being let down, and we listened and were sickened by what we heard. She began a blog and a facebook page, and young Lucy stole the hearts of the nation. We all waited for the nonsense to end and for news of the appeal, hopeful this part of Angela’s nightmare would be over. When it came we were stunned. Lucy’s card was once again denied. Decency and common sense were nowhere in sight. Many of us hung our heads in shame, others were incensed. I remember hearing Lucy’s mom on the radio. It was heartbreaking. So many people were upset by the decision that they offered to give her their medical cards or to organise fundraisers. On many occasions I heard Angela say, ‘it’s not about the money, it’s about justice for all our sick children’. 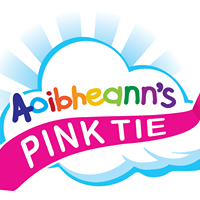 All money raised in Lucy’s name, including those from a song called ‘I’ll follow you‘ by hvmmingbyrd, were donated to Aoibheanns Pink Tie, (an amazing charity I have written about here before). As the rest of us wondered and shook our heads at this madness, young Lucy’s fight continued, as did her mothers. Then today I read the happy news. Lucy was to get her medical card. Not only that, but because of her fantastic mother’s grit and determination, no child or adult undergoing treatment will have to pay for a wig. What can I say? Lucy has an exceptional mother who fought not only for her own child, but for so many others, and has made a difference. Tonight I hope she can feel proud of what she has achieved. It is just a terrible pity she ever had to fight in the first place. I wish her family continued strength during this difficult time, and Lucy a return to full heath as soon as possible. Earlier I read Angela’s blog entry telling us the news and thanking those who had helped her highlight her cause. Here on my blog tonight I would like to take this opportunity to thank Angela herself for what she has done for sick children in Ireland, today and in the future. Personally I believe all children with cancer should automatically qualify for a medical card, but this for now, is a step in the right direction. Angela, Ireland owes you a massive debt of gratitude. Thank you. **** An Update. Since I wrote this there has been a change in policy. Thanks solely to Angela’s tenacity, courage and strength all children diagnosed with cancer in Ireland receive a medical card for five years. My Life, A Dream That Didn’t Come True. Face to face with a nightmare. Thank you. What she is going through is dreadful, but to think our government and bureaucracy added to her pain is so sad. 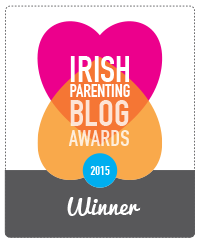 Pingback: Irish Parenting Bloggers | A mother in a million. I’m glad you shared this story of one mother’s strength and determination paying off! I hope Lucy is doing well with her treatment also. When Elizabeth was diagnosed with cancer at age 21, one of her first questions was, “Will I lose my hair?” When she was told yes, her priority was to get as natural a wig as possible, as she wanted to continue to live her life and make her own decisions about who and when to tell that she had cancer. I think for many girls and women this is a huge priority. It didn’t occur to me that insurance or anyone else could pay for it (though the American Cancer Society has free donated wigs for those who need – there wasn’t one that was a good match for Elizabeth), I was just grateful that she had insurance that was paying most of her $20,000 chemo treatments! We were lucky that I could afford a wig, with help from family and other resources, so she could choose to live a “normal” life with cancer, as was her preference. But this should be a right for all. Our emotional and mental health has a large bearing on our recovery! Thanks again Tric. Thank you Lucia. I can only imagine how important a wig is to a 21 year old girl, and I especially get your point where you say it would be her choice who knew she had cancer or not. When my own brother had cancer he did not want anyone to look at him with a tragic face. The cost of cancer treatment is enormous, although recently the childrens cancer specialist here made a very interesting observation, he said that all children with cancer should get a medical card as for most it is a two to three year treatment, during which time they get better or they don’t. They do not need to have a medical card for ever. Hopefully in the future that will be the case, but at least thanks to Lucy’s mom, there is a change coming. Wonderful. I often shake my head in bewilderment at governments that can award tax rebates and funding to mulit-millionaire mining magnates (and the like) but cannot fund medical assistance for those who need it most. I couldn’t agree more, and most parents in this situation are too traumatised to fight like Lucy’s mother has done. At least now she can channel all that strength where it is needed, in minding and supporting her little girl and family. I just don’t know how she has been able to do this. She is amazing. for those of us not living in Eire, tric, what is a medical card ? what does it entitle one to? why does one need to apply for one? Thanks Duncan, I’ll clarify here. A medical card is issued in Ireland to those under a certain income threshold or with a recognised illness. It entitles them to free GP, medicines, hospital services and all medical costs. Without it you pay. Some also have private insurance to cover private hospital care. So to have a medical card would make life so much easier for Lucy and anyone being treated for cancer, as the financial burden is already very high due to travel, babysitting and accomodation costs. I think Lucy’s mom also felt the denial was as if the authorities were saying she was not that sick, despite being so obviously very ill.
her mother is a pillar of strength fighting against an unseen goliath and has triumphed. bravo to her. and love to her family and all of those who suffer so unfairly. Thank you beth. It’s a wonderful result for her, richly deserved. Angela has been amazing through all of this. Thank you. I have seen through a friend the horror of a child with cancer, and for Angela to battle while living a nightmare filled me with awe. I’m so glad she got the outcome she and Lucy deserved. Wonderful post and I would like to express those same sentiments to Angela also. This is amazing news Tric, and should be world wide. No child battling cancer should have to worry HOW they will battle cancer (or other health issues for that matter). Pingback: At last. | My thoughts on a page. Thank you Siobhan. I’m sorry you and your child have had to face a cancer diagnosis. The lady I wrote about has helped so many parents of sick children in this country with her tireless work at the time. Thankfully her daughter is doing well.